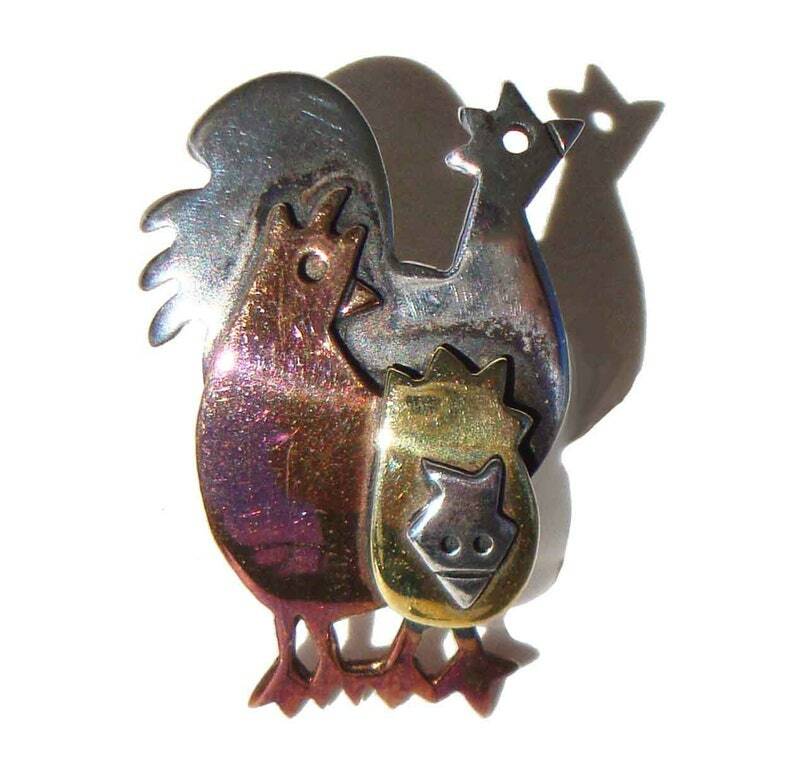 Three little chicks are featured in this amusing vintage tie tack, featuring three overlapping chickens in a mixed metals style by Far Fetched. The novelty tie tack or lapel pin is comprised of hand wrought sterling silver, copper, and brass in the form of three chickens or hens in a whimsical design. It measures approximately 5/8 of an inch wide by 1 inch high, weighs 5.3 grams, and is signed “Far Fetched” and “Sterling”.